Do you feel slighted or cheated? Did the Last Will and Testament truly represent the last wishes of the deceased? Do you disagree with the content of the Last Will and Testament? Do you want to legally challenge the validity of the Last Will and Testament? a. Did the deceased have the legal capacity to consent? b. Did the deceased have the proper mental capacity to execute a Last Will and Testament before a notary? c. Did the nature of the assets or the list of the beneficiaries/heirs have an impact on the drafting of the Last Will and Testament? For instance, you might allege that the deceased had Alzheimer’s or dementia at the time of drafting of the Last Will and Testament. 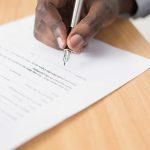 It is important to ensure that the medical records from a professional medical practitioner confirm that, during the time of the execution of the Last Will and Testament, the deceased had the proper legal capacity to execute a Last Will and Testament. Therefore, the production of medical records is important in the determination of the lack of testamentary capacity of the deceased. There is a presumption that the deceased is sane and had the legal capacity to execute a Last Will and Testament and dispose of his/her assets at the time of the drafting of the Last Will and Testament. This presumption may be reversed by proving that the Testator/Deceased did not have the proper intellectual capacities to dispose of his assets and to understand the nature of the consequences of the Last Will and Testament. In all circumstances, the real question is: Does it pass the smell test? The Holograph Will is required to be written entirely by the Testator and signed by him without the use of any mechanical process. The Last Will and Testament made in the presence of witnesses was not properly signed by the deceased or before two witnesses. 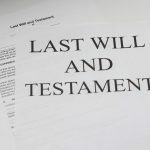 Prior to contesting the Holograph Will or a Will in the presence of witnesses, one must determine whether the Last Will and Testament represents the last wishes of the deceased despite its lack of formalities. Each case must be determined on its own merits and evaluated on a case by case basis. 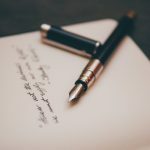 The Last Will and Testament does not validly represent the wishes of the deceased because the deceased was coerced or unduly influenced by a heir or beneficiary to the Last Will and Testament. For instance, the deceased is dependent on one of the children to look after him or her and has left everything to that child much to the chagrin of the rest of the children. Moreover, a nursing care aid or a person that cares for the Testator that is not the spouse or a relative of the Testator may not inherit if the Last Will and Testament was executed at the time that the Testator/deceased was receiving medical care. For instance, the deceased was not acting on his/her own accord or was defrauded by an outside individual who has now become a heir. Once a Liquidator has accepted his role as Liquidator, the Liquidator has an obligation to render a proper inventory accounting of the debts and assets of the deceased. The succession is presumed to have been accepted by the heirs when the heirs knowingly refuse or neglect to make an inventory themselves or to make a motion to the courts in order to force the Liquidator to make a proper inventory within 60 days following the six(6) month period of deliberation. Should this period of time not be respected, the heirs may be liable for the debts of the succession beyond the value of the property they take. In the event that the Liquidator does not render a proper inventory accounting, you may request a safeguard order motion from the court to ensure that the Liquidator render a proper accounting of the inventory within a specified period of time from the date of the judgment. Failure to comply with this order, the Liquidator shall be relieved of his duties and replaced with a replacement Liquidator. Rules of family patrimony should apply. The surviving spouse living at the immovable residence of the deceased has preference over the other heirs. As such, he/she can require that the family residence or the rights conferring use of it, along with the movable property serving the use of the household be placed in his or her share. Reasonable legal fees of the attorney may be paid out of the estate in order to contest the validity of the Last Will and Testament. Each case needs to be determined based on the merits of the situation as the reimbursement of legal fees is at the discretion of the courts. Section 726 of theCivil Code of Quebec. Section 727 to 730 of theCivil Code of Quebec. Section 714 of theCivil Code of Quebec. Section 276 of theLoi sur les services de santé et les services sociauxand section 761 of theCivil Code of Quebec. Section 640 and 800 of theCivil Code of Quebec. Section 856 and 857 of theCivil Code of Quebec.